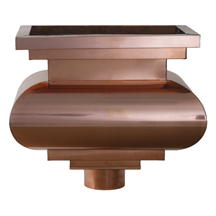 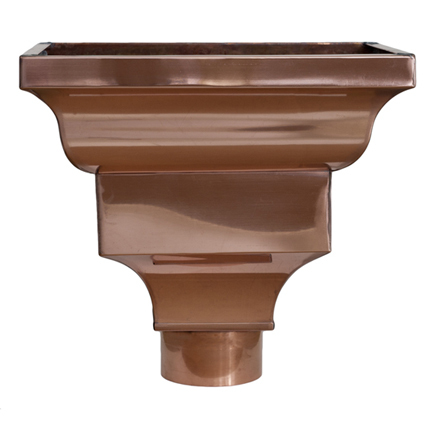 Adding a Copper Conductor Head or Leader Head will Provide Instant Curb Appeal and make the perfect compliment to your Copper Gutters. 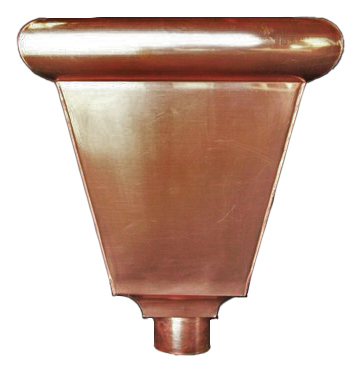 World Gutter Systems hand crafted leader heads, also known as a conductor head or collection box, will enhance ornamental appeal while serving multiple environmentally sound purposes. 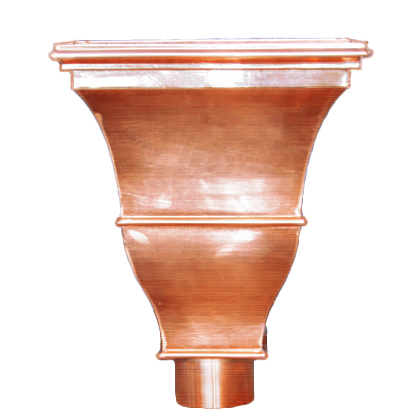 Aside from providing overflow protection at the roofline, leader heads permit directing more than one downspout into a single location and allow water to flow through downspouts more quickly and quietly by incorporating a vacuum break. 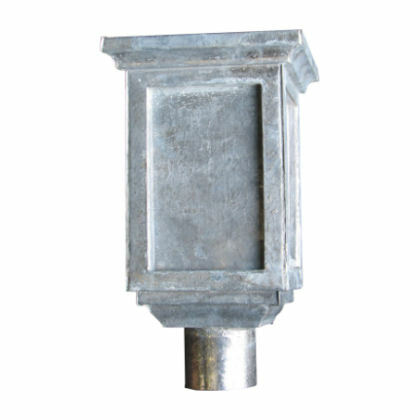 They are used to channel water from a through-wall scupper, and can be incorporated into a rainwater harvesting system. 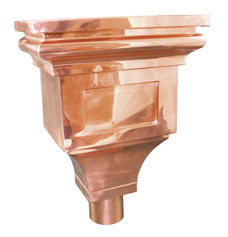 World Gutter Systems leader heads are hand made here in the USA from 16oz. 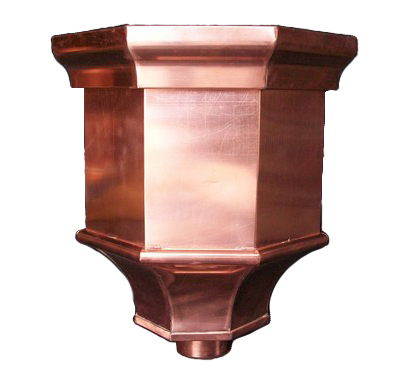 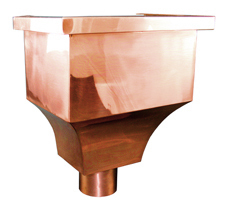 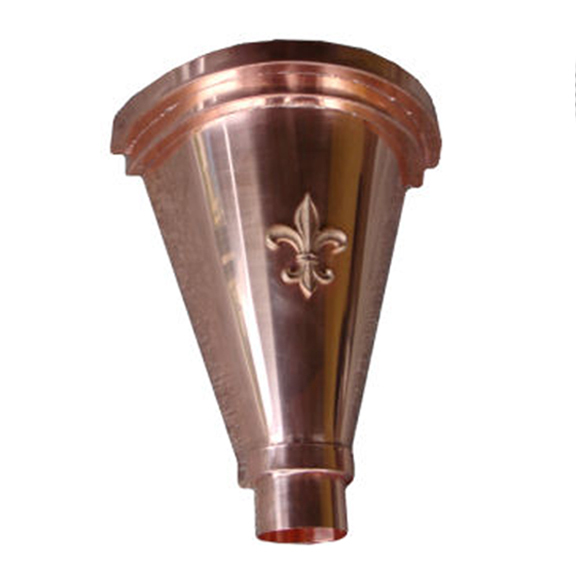 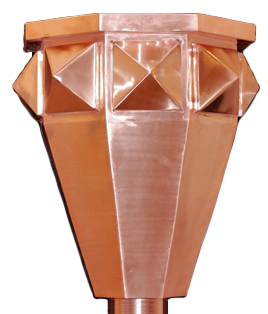 copper, however many of our designs can be manufactured from a wide variety of metals and gauges. 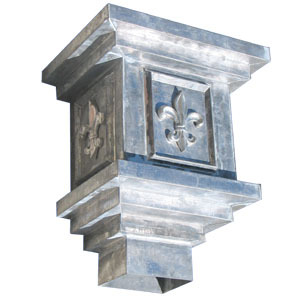 Please call for pricing and availability on aluminum, steel, zinc, and brass materials. 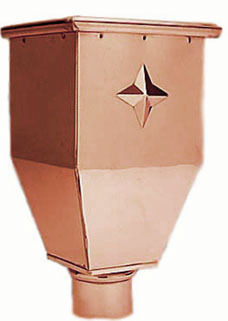 Leader Heads are made to order and are not returnable.